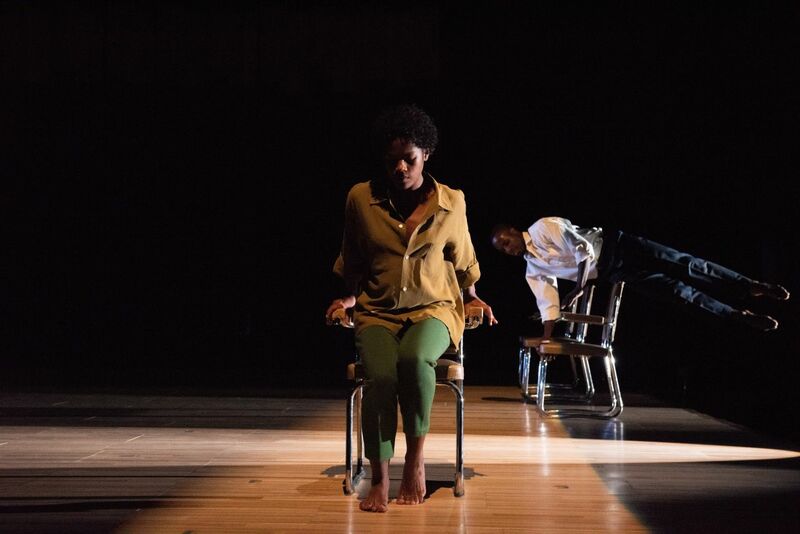 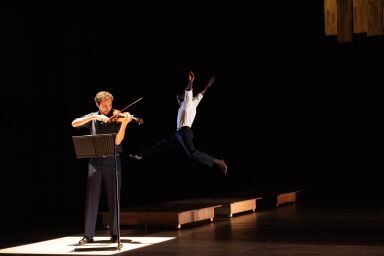 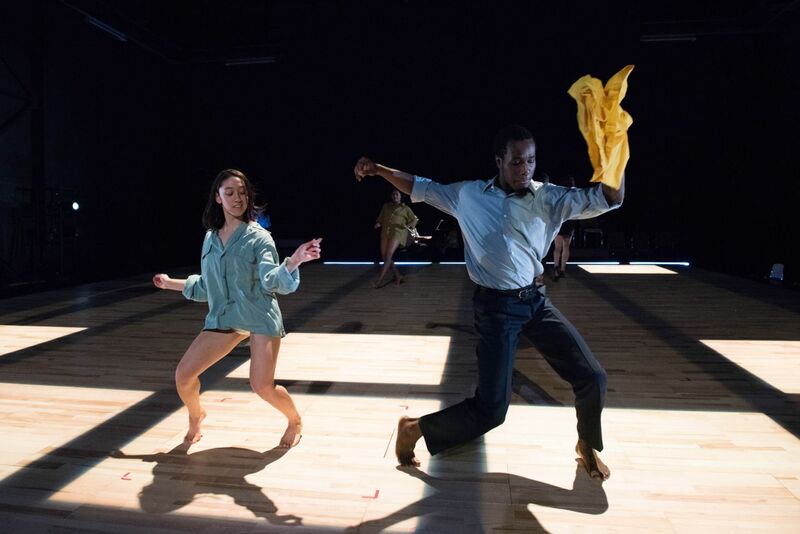 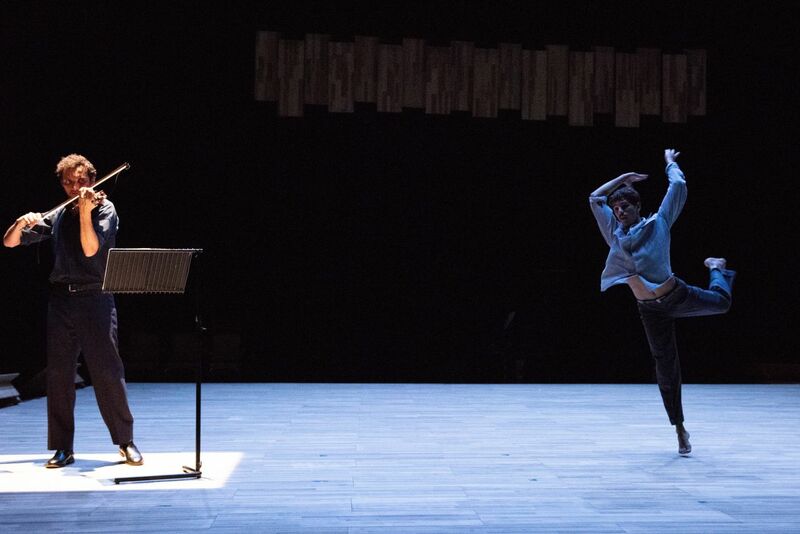 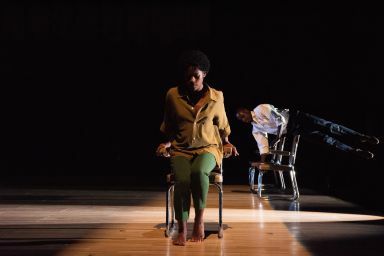 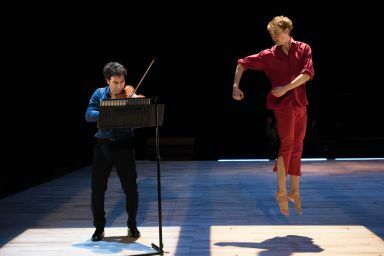 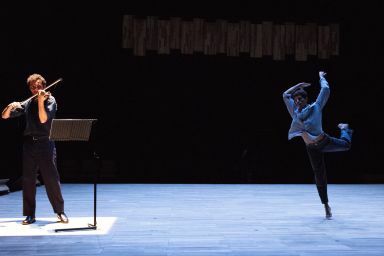 Achterland is a seminal choreography in Anne Teresa De Keersmaeker’s oeuvre. 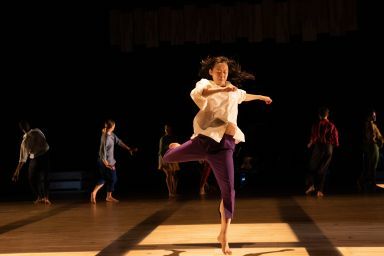 In this 1990 performance, for the first time, the choreographer gave the musicians a central position on stage and let them play an active role in the overall dynamic—an approach she would repeat in many subsequent projects. 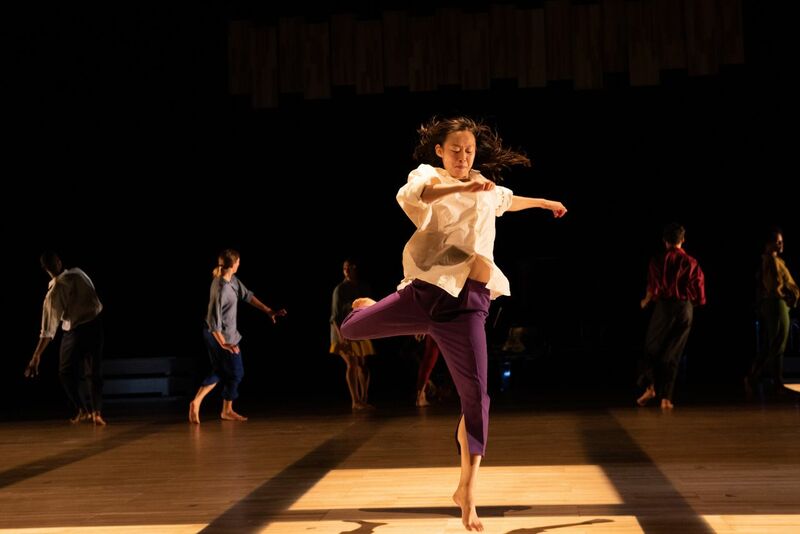 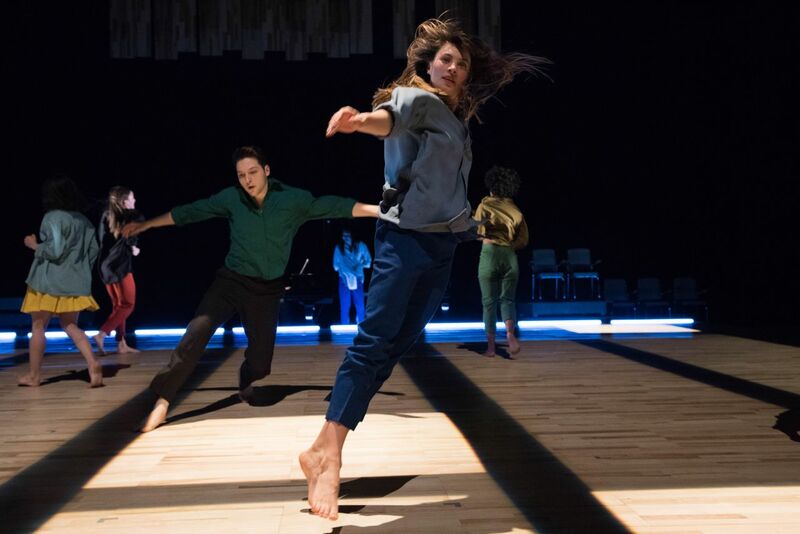 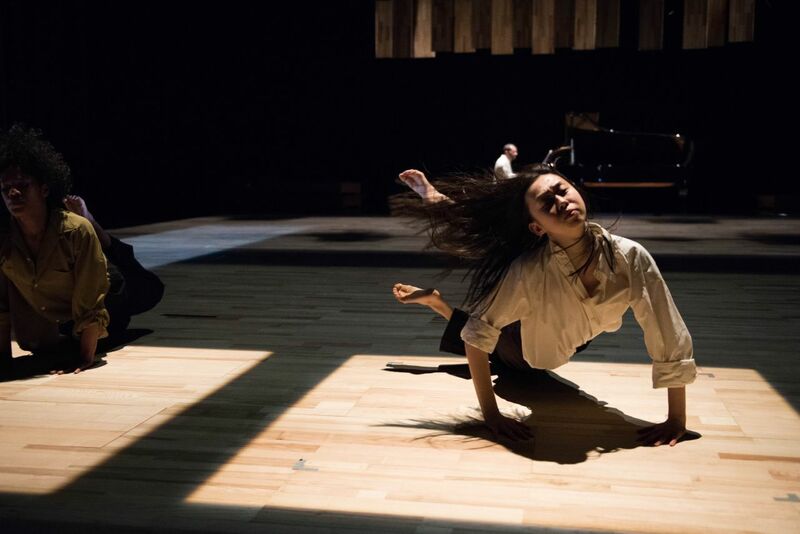 The unusual combination of György Ligeti’s and Eugène Ysaÿe’s music inspired De Keersmaeker and her dancers to create an original dance score with a delicate balance between energetic virtuosity and deceleration. 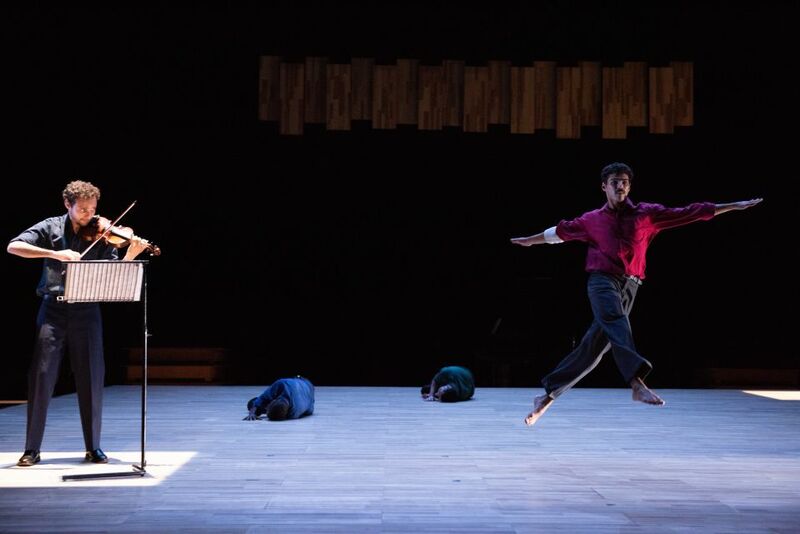 This also was the choreographer’s first time writing dancing material specifically for men; she added three male dancers to what until that point had been a predominantly female company. 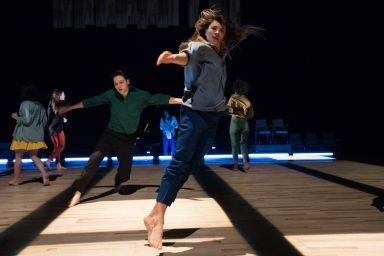 In Achterland, the prevalent femininity and minimalism of several of Rosas’s earlier works gave way to an ambiguous no-man’s-land characterized by a blurring of boundaries and symbols.